At Certified Moving & Storage, we are focused on providing high-quality service and customer satisfaction. We will do everything we can to meet your expectations whether it be a same day move within New England or our speciality – a move from Maine to Florida. What makes us different? We are family owned and operated with 50 years of experience in the moving industry. We are fully licensed and insured – Our DOT# 267558 MC# 374605. We offer packing services, GUARANTEED pick up and delivery dates, military and senior discounts. We also offer BINDING ESTIMATES. 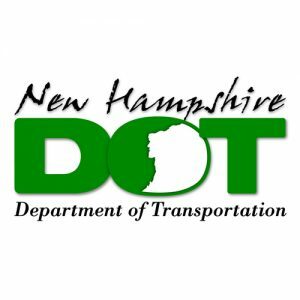 Our service area includes ME, NH, VT, MASS, CT, NY, NJ, DEL, MD, VA, NC, SC, GA, FL. References available upon request, over 200+ available. Interested in our services? Complete our quote request form and we’ll get back to you as soon as possible! With a variety of offerings to choose from, we’re sure you’ll be happy working with us. Thank you for considering Certified Moving & Storage. At Certified Moving & Storage, we are focused on providing QUALITY services with the highest levels of customer satisfaction. We will do everything we can to meet your expectations. With a variety of offerings to choose from, we’re sure you’ll be happy working with us. Loading & Unloading – Rental Trucks, PODS, Storage Containers, etc. Specialty Moves – Pianos, Antiques, etc. References upon request, over 200+ available. Thank you for considering Certified Moving & Storage. Why choose us for your local move? Having utilized many movers over the past 10 years, Rick and Glenn were professional in every aspect of the move, kept in touch via phone with any changes to their schedule. The location from RI was the most difficult that they had ever encountered, and they handled it like pros. I would highly recommend them! I was SO IMPRESSED! We are "of a certain age, and are two widows, on our own,in a world that can make that very challenging. Rick and James both made our whole move smooth, easy, and even pleasant. A long distance move? Pleasant? Yep! In addition to their professional attitude and willingness to assist, above and beyond, they were charming to my 95 year old Mother. She is a Southern woman to the max, and can be somewhat demanding. Mother and I would highly recommend them to anyone looking for true professionals of real quality. Thank you again, Rick, James and crew! Recently used Rick and his team to move us from Plymouth MA to Naples FL. I could not be happier with the service Rick provided us all of our furniture arrived on time in great condition and on budget. It is stress-full enough making a major move and it was great knowing that Certified Movers took a lot of that stress out of the equation! "Mr. Dufton is a true professional mover. He did a small mover for my mother-in-law from NH to FL. Hardworking. Fair price. Everything worked out as planned. Highly Recommend." "I used this company as they are local and I had heard good reports. I called and set up a move day and I was told they would be there by 8am. The day of the move they were there right on time. Within one hour everything was moved with no problems. I would highly recomend this company, very professional movers." "Certified Moving moved my family from NH to SC. All our furniture arrived in perfect condition. The owmer, Rick Dufton, said he would load and deliver all of our things himself, which he did! It's very hard to find the owmer of a company doing work himself. This impressed me, as in the past I've used other companies that had promised such and yet, never followed through. I would definitely recommend Certified Moving for your move! P.S. The price of our move was actually lower that the original estimate!" "I used this company for my move from Hampton, NH to Shady Side, Maryland back in the spring of 2014. Rick came to my home and gave me a binding estimate. I was also given 3 pages of the names & phone numbers of people who had used his services. I called 10 of those people and they all had positive things to say about this company. I even left messages on some of their voicemails and they all returned my calls. I have nothing but positive things to say about this company. They came to my home on the date that they said that they would. My belongings all arrived safe and sound on the date that they said that they would. I will be using them again this winter for my move from Shady Side, MD to Alpharetta, GA. I know that there are so many, many horror stories out there about moving companies. 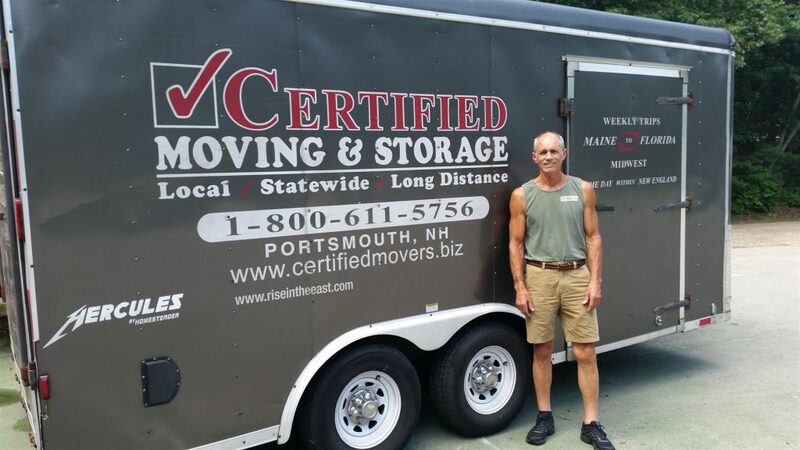 Fortunately, I had a completely positive experience with Certified Moving & Storage." We offer packing services, GUARANTEED pick up and delivery dates, military and senior discounts. We also offer BINDING ESTIMATES. Fully Licensed & Insured. References upon request, over 200+ available. Interested in our services? Complete the form below and we’ll get back to you as soon as possible!